Office of Sustainability staff sat down with Tom Gleason, Senior Planner at Austin Resource Recovery, to learn more about the organics diversion component of the Universal Recycling Ordinance. The URO requires all food establishments to provide employees with on-site access to strategies to keep food and other organic materials from ending up in landfills. What does Organics Diversion mean? Q: What is the purpose or goal of the Universal Recycling Ordinance, specifically the Organics Diversion Requirements? A: The purpose of the Universal Recycling Ordinance is to extend the life of local landfills, reduce harmful environmental impacts, and encourage economic development associated with waste diversion and recycling by creating local opportunities for these materials. 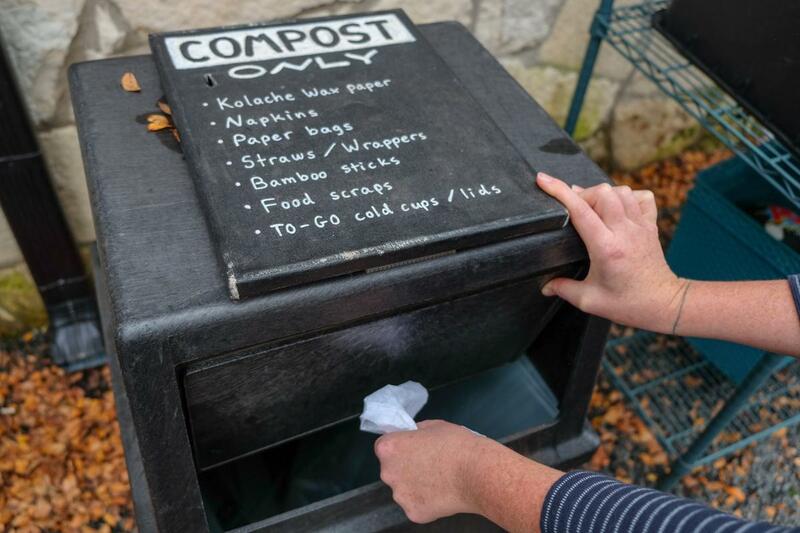 The ordinance is a tool to help Austin towards its Zero Waste Goal to divert 90 percent of everything generated in Austin from local landfill or incinerators by 2040. So that means finding ways to reduce, reuse, recycle, compost, donate, repair — anything to keep stuff out of the trash and find more productive outlets for those materials. Q: Who does this ordinance impact? A: The ordinance impacts all food permitted businesses in Austin, including restaurants, food trucks, commercial kitchens, daycare facilities that serve food — any business with a food permit. Q: Why is it called “organics diversion”? What does that mean? A: Organics is meant to encompass more than just food. It’s anything that comes from plants or animals which may include yard trimmings, floral décor, soiled paper or cardboard like paper towels or pizza boxes. To clarify, “organics” in this sense does not mean USDA Organic — food grown or produced without pesticides — but rather anything that was once part of something alive. We like to say “if it grows, it goes”. How are food establishments meeting the requirements? Q: What are some of the ways food establishments are diverting organics? A: A common misconception is that this is a “composting ordinance” or a “ban on food to the landfill” but that’s not the case. Basically, businesses need to provide employees with access to organics diversion and provide them with options to keep food out of the landfill. Businesses have the choice of deciding what works best for them to reduce the amount of waste they are generating. They can donate food to people or animals, they can compost, or they can look into alternative means or more creative solutions to reduce food waste. We’re flexible in allowing businesses to find what works best for them as long as it meets the intent of the ordinance. We are seeing a lot of businesses donating surplus food to the Food Bank, working with food rescue organizations like Keep Austin Fed, or working with local food pantries. When that extra food is used to feed hungry people in our community, it really is the highest and best use for it. Other folks are donating it to feed animals which is pretty cool. Farm to Table has been a big movement to get local, fresh food from nearby, and now we are seeing the “Table to Farm” movement where post-consumer food scraps are being sent back to the farm where it is turned into compost and used as a soil amendment to grow crops or feed livestock. 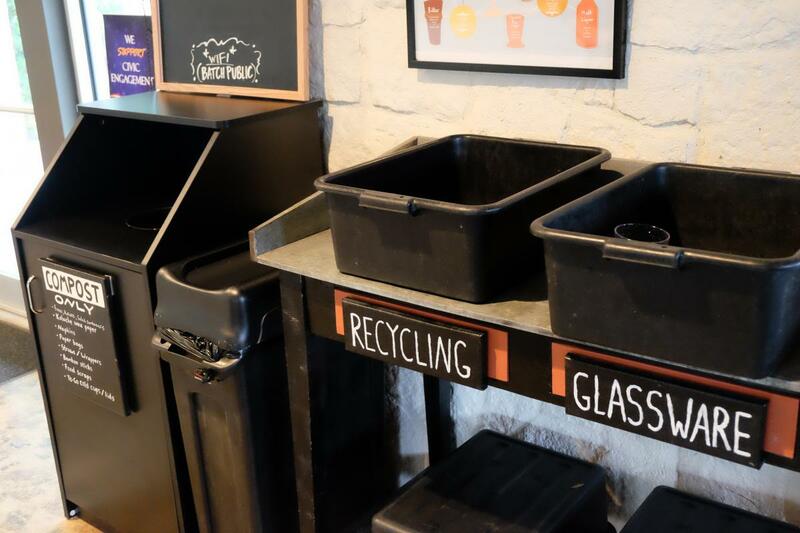 Some other businesses are collecting compostable materials, not only in the back-of-house or kitchen, but in the dining area as well. They purchase compostable cutlery, bamboo stirrers, and paper napkins so all that’s left at the end of the customer’s meal is either reusable, recyclable, or compostable. Q: Are businesses and restaurants supposed to be diverting 100 percent of their organics? A: It’s not 100 percent diversion and our Zero Waste Goal is not 100 percent. Businesses need to have a plan and provide on-site access in the best way that makes sense for their business, make sure they educate employees, and report back to the City to let us know what they are doing. It’s not a one size fits all ordinance. Essentially, they need to show that they are making a good faith effort. Like any new business practice, they can continue to evaluate and try to improve their performance towards this goal year over year. Q: What are some of the biggest questions you get from food establishments as they are looking to implement the ordinance? A: Often times businesses just need help knowing where to get started. As a first step, I always encourage businesses to look at what’s going out the back door and consider what’s being thrown away, why it’s being thrown away, and consider whether they could reduce, reuse, or send it to another use. If businesses need additional help, Austin Resource Recovery holds free training events and has staff who can answer questions or provide on-site assistance. Q: What are some of the most inspiring things you are seeing businesses do? A: I love seeing the innovation and creativity from businesses trying to reduce waste. For example, a local barbeque restaurant uses day-old bread to make bread pudding, and they donate bones from the meat to local pet shelters. There are some restaurants that are considering how they can serve only the food that people will actually eat. For example, asking if customers want rice and beans on the side with their enchilada instead of just automatically putting it on the plate. This way, they are simply taking the time to see what is being generated and what is being wasted and then determining what else could be done to prevent that waste. Q: What should we do as customers to notice and recognize what food establishments are doing? A: Because this ordinance is largely being implemented back-of-house — meaning it’s focused on providing access to employees and not necessarily consumers — it may not be obvious what the business is doing. It might be worth having a conversation with your local coffee shop or grocery store manager and ask what they are doing to meet the ordinance and let them know how the ordinance is important to you. Q: What can we do as residents to help? A: Food waste happens at every level — on farms, during distribution, as well as at the retail level. But, it doesn’t stop there. We as consumers play a huge part as well. On average, U.S. households are wasting up to 25 percent of the food that we’re buying. We need to educate ourselves. One way to do this is to get involved with local organizations that are working on this problem to learn more about what businesses are doing to be part of the solution. Another tip is to take that same level of thoughtfulness to your household. Look at what you are tossing and make a plan to avoid that waste. Whether that’s being more mindful about what you order at a restaurant, creating a shopping list before heading to the store, or adding a shelf in your fridge for foods that need to be eaten first. Thanks again to Tom for helping us get a better understanding of the Universal Recycling Ordinance. Get more information on the Organics Diversion requirements here .